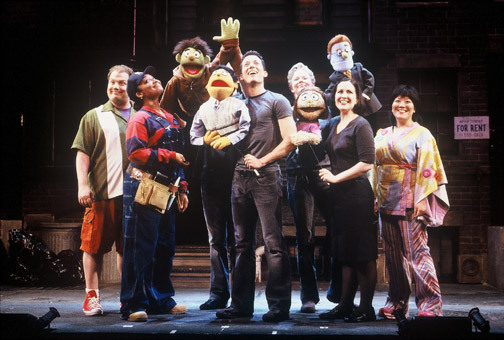 AVENUE Q is the story of Princeton, a bright-eyed college grad who comes to New York City with big dreams and a tiny bank account. 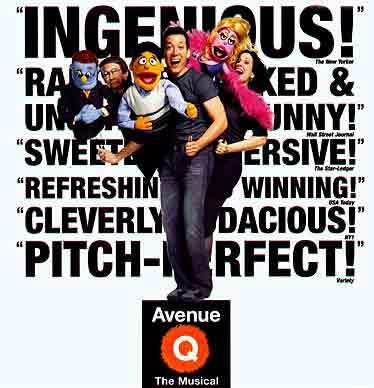 He soon discovers that the only neighborhood in his price range is Avenue Q; still, the neighbors seem nice. There's Brian the out-of-work comedian and his therapist fianceé Christmas Eve; Nicky the good-hearted slacker and his roommate Rod -- a Republican investment banker who seems to have some sort of secret; an Internet addict called Trekkie Monster; and a very cute kindergarten teaching assistant named Kate. And would you believe the building's superintendent is Gary Coleman?!? (Yes, that Gary Coleman.) Together, Princeton and his newfound friends struggle to find jobs, dates, and their ever-elusive purpose in life. 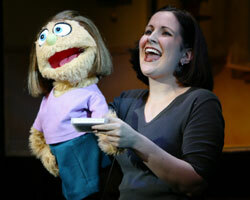 Avenue Q is a fictional street in a New York City location known only to be "somewhere out in Queens or Brooklyn." Winner of the 2004 Tony Award for Best Musical.